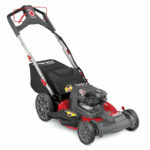 Earlier this week we learned that Poulan had a new 58V OPE line with the Poulan Pro series which included a mower, leaf blower, and string trimmer. Learn more about them by clicking here. I just learned that they also have a cordless 58V backpack blower and chainsaw all thanks to Cody Robertson for sharing the tip. 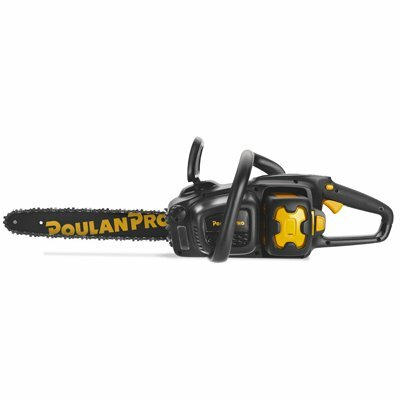 The Poulan Pro 58V chainsaw has a 16 inch bar and chain and features a brushless motor. It comes kitted with the 5.2 ah battery and charger for a retail price of $319. 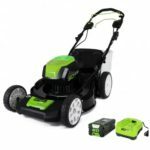 Poulan Pro 58v 16″ cordless chain saw, 5.2ah battery, brushless motor, 2200w, battery gauge, power meter, chain tension assist, 4 year limited product warranty/2 year limited battery warranty. 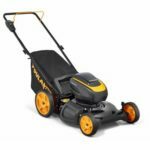 The backpack blower also features a brushless motor and although it has the same impressive 675 CFM’s as the regular leaf blower, it raises the MPH to 150 MPH. This makes Poulan Pro’s 58V backpack blower more powerful than Ego’s or Greenworks battery powered units in both CFM’s and MPH, at least on paper. 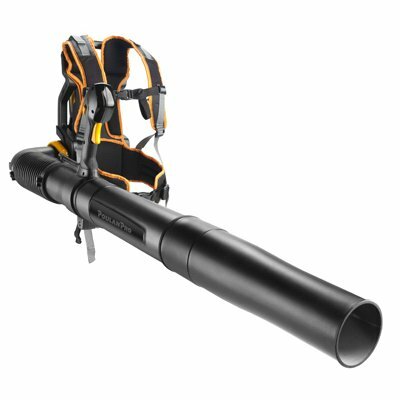 The backpack blower also comes with the same 5.2 ah battery and charger for a retail price of $299. According to Poulan, it will get up to 2 hours and 20 minutes of runtime which I find very hard to believe. 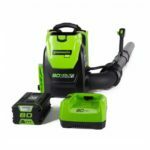 Poulan Pro 58v 150mph/675cfm cordless backpack blower, 5.2ah battery, brushless motor, 2hr 20 min run time, 1500w, battery gauge, power meter, digital cruise, ambidextrous set up, 4 year limited product warranty/2 year battery warranty.